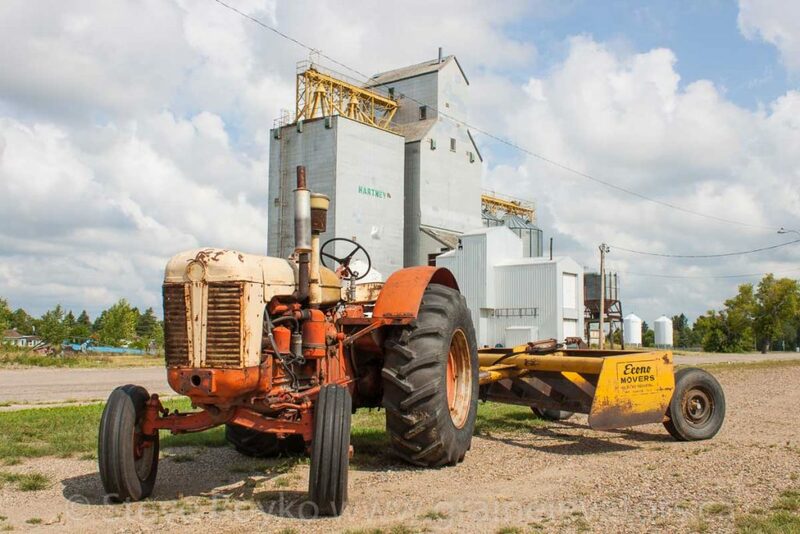 Tractor and grain elevator in Hartney, MB, Aug 2014. Contributed by Steve Boyko. The Hartney grain elevator is a former Manitoba Pool elevator, built in the late 1970s. 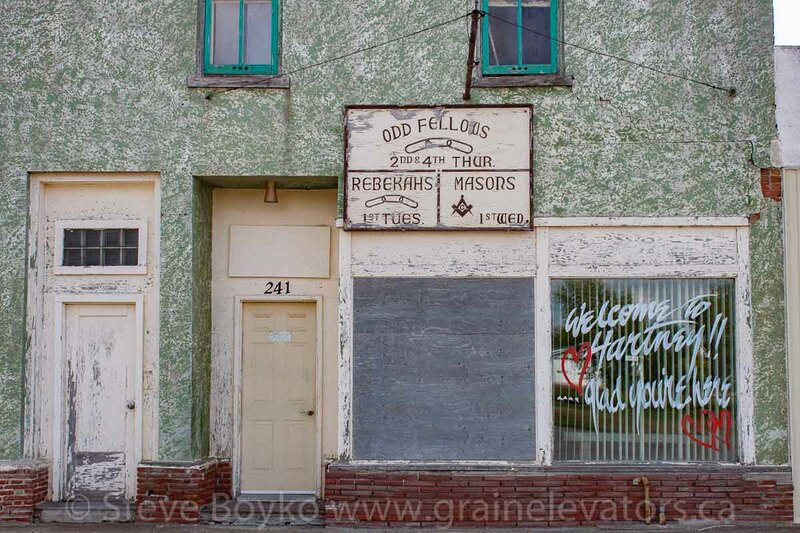 This elevator had a listed capacity of 3,320 tonnes when it was last listed in the Canadian Grain Commission listings in 2001. The traditional wooden elevator has a relatively modern annex attached, as well as two steel bins. 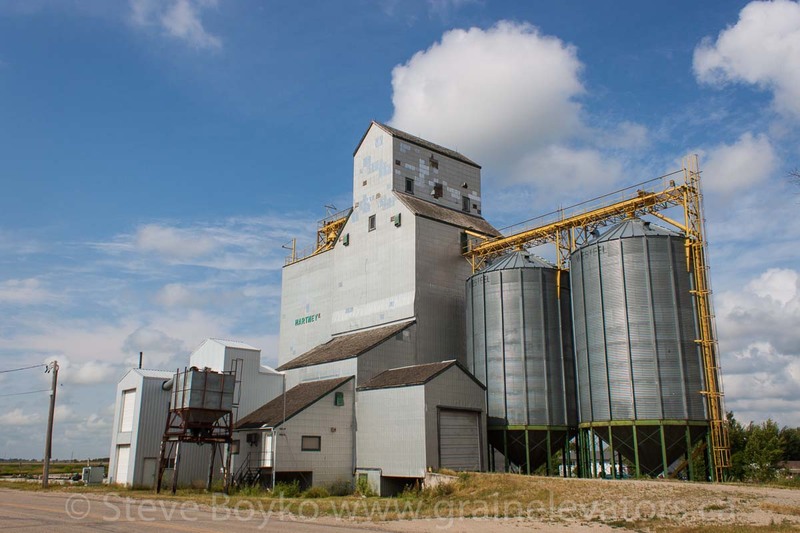 Grain elevator in Hartney, MB, Aug 2014. Contributed by Steve Boyko. The elevator sits on the CP Estevan subdivision. 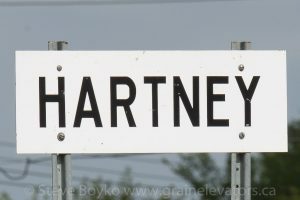 At one time Hartney was also served by the CN Hartney subdivision until the portion through the town was abandoned in the late 1970s. Hartney used to have two UGG grain elevators, one built in 1963 and an older one built in 1917. Neither exists any more. 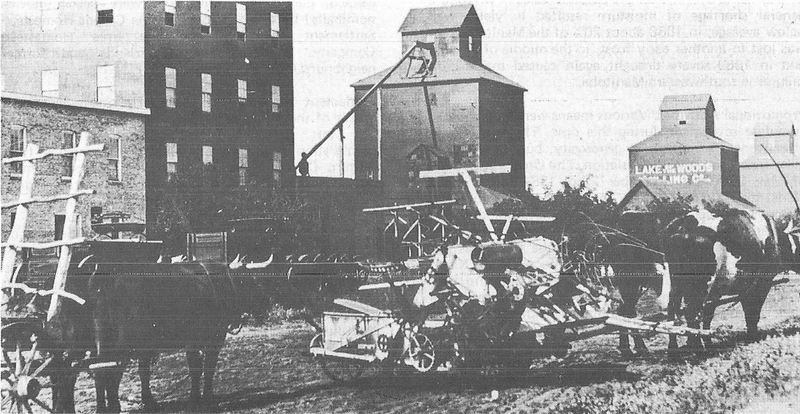 Hartney, MB grain elevators, 1893. The original Manitoba Pool Elevator (Pool #113) was built in 1929 and operated until 1978. At that time it was sold to Gibson Farms. It also has been demolished. The town of Hartney has some very interesting store fronts along its main streets. The town museum is well maintained. It is well worth visiting.